Thanks to everyone who attended this year’s Conference. 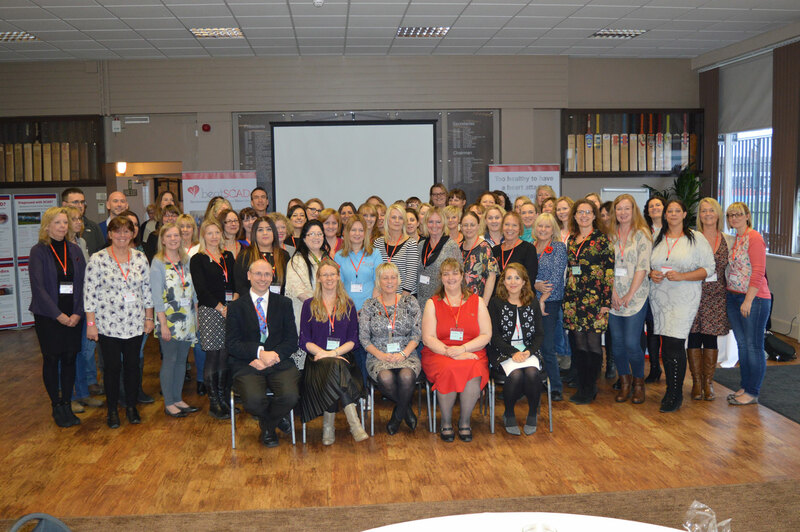 We had some fantastic speakers and we hope all the delegates enjoyed the day. See you next time! Look out for videos of the presentations in the coming weeks. Beat SCAD – My how we’ve grown! Dr David Adlam – Is SCAD in the genes? Beat SCAD’s 2018 Conference will be held on Saturday 9 June at the Queen Elizabeth Hospital in Birmingham. If you would like to make a weekend of it with your family, there are some fabulous local attractions close to the conference venue (see below) that they could attend on the Saturday while you are at the Conference. We are also investigating options for a walk on Sunday 10 June which will be suitable for all the family. More details to follow, but in the meantime, please click here to complete the booking form. We look forward to seeing you in June! Time: 9.30am to 5.30pm – Registration 9.30-10.30am. Note, enter University of Birmingham Pritchatts Road car park B15 2QU in satnavs (if you just enter the postcode, you will be taken to the wrong address). Please use CAR PARK A. The car park is underground (Level 0). The Hospital Main Entrance is on Level 3. There are stairs and lifts to all levels. Price: £7.20 up to 8 hours. NB price goes up to £14.90 after 8 hours. See www.uhb.nhs.uk/car-parking.htm. Payment is by cash or card when you leave, so please remember to keep your ticket with you. If you use this car park, we would strongly suggest car sharing to reduce your costs. Dr Abtehale Al-Hussaini (Dr Abi) who worked on the research project and now runs a SCAD Clinic at the Chelsea and Westminster Hospital in London. Dr Alice Wood, Clinical Research Fellow on the SCAD research programme. The UK SCAD experts have seen more SCAD patients than anyone else in the UK. They will be giving an update on the research so far and answering your questions about SCAD, medication, FMD, pregnancy and more. There will be plenty of opportunities to talk to other delegates during table discussions as well as more informal networking. Below is some information about some of our speakers and the subjects they will be covering. We will release more details over the coming weeks. The day will start with an update from the Beat SCAD trustees. Dr Abi Al-Hussaini, Consultant Cardiologist, will explain Fibromuscular Dysplasia (FMD), its growing association with SCAD and what this means for newly diagnosed SCAD patients. Dr Alice Wood, SCAD Research Fellow, will discuss why studying sub-groups of SCAD patients, such as men, peri-partum women and those who have had recurrent SCADs, is so important to SCAD research. She will also explain how the research protocol has evolved from the original ‘research days’ attended by patients, to researching ‘themes’, such as measuring the impact of psychological stress of SCAD patients. Sally Bee, Heart Healthy Cook, Author and two-time SCAD Survivor, talks about what SCAD patients can expect after a SCAD, including understanding the grief process, recovery timelines, managing the family’s expectations, cardiac rehab and more. Dr Abi Al-Hussaini will present a session about pregnancy during and after SCAD and how the new pregnancy SCAD Clinic at the Chelsea & Westminster Hospital can help. She will also discuss the latest thinking about contraception, peri-menopause and menopause. Panel discussions and Q&A sessions with SCAD experts. Many opportunities for networking, support and friendship. Please click here to complete the registration form. You will then be directed to our online shop to pay for your tickets. Please note your place is not guaranteed until you have paid the delegate fee(s). Closing date for registrations is Friday 1 June 2018. Cancellation policy: We can accept cancellations up to 4.30pm on Friday 1 June 2018. Up to this date your booking fee will be reimbursed, however after this date it may not be possible to provide a refund. If you are a new mum with a babe in arms and are thinking about coming to the conference please contact us for information. This is a list of hotels within a few miles of the Queen Elizabeth Hospital. The costs below are approximate and room only. Some hotels have free parking, others are chargeable. Distance from venue is listed after the price. Please note, we have not visited any of these hotels so delegates need to check that they are suitable and meet their requirements before booking. Map of the Hospital – you need to arrive at the Main Entrance (number 1 on the map).